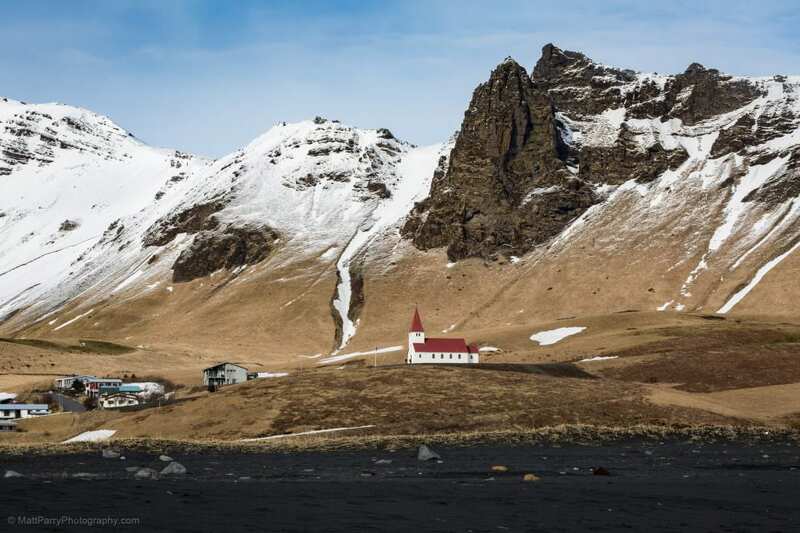 I consider myself a seasoned traveler but I have to admit that Iceland was never really on my radar as a destination until relatively recently. Okay it popped up every now and then looking pretty in a James Bond film and even gained notoriety in 2010 thanks to an unpronounceable volcanic ash cloud that caused no end of travel chaos, but to me, I always perceived it as a prohibitively expensive and isolated destination with little to offer. Turns out I was totally wrong! 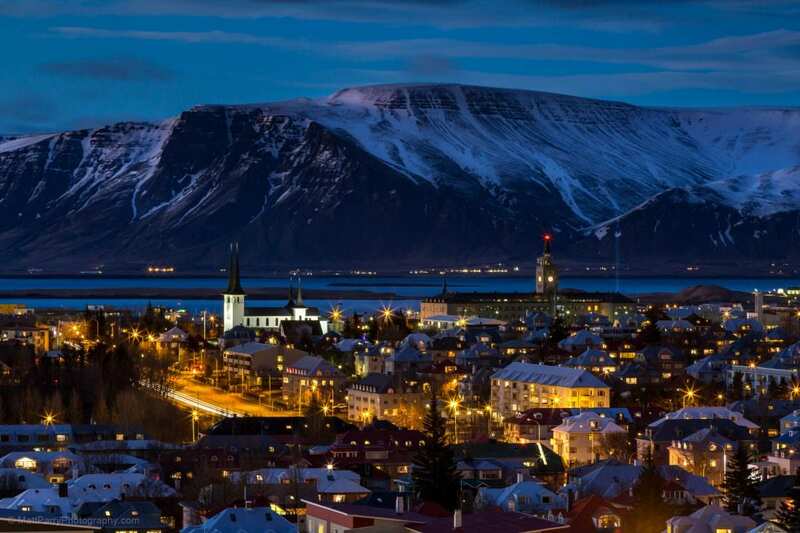 As a destination Iceland’s popularity has never been greater. The number of foreign visitors to the country has tripled since 2000 and is set to grow further thanks to its stopover potential on transatlantic journeys and its accessibility from most of Europe (under 2 ½ hours flight from the UK). 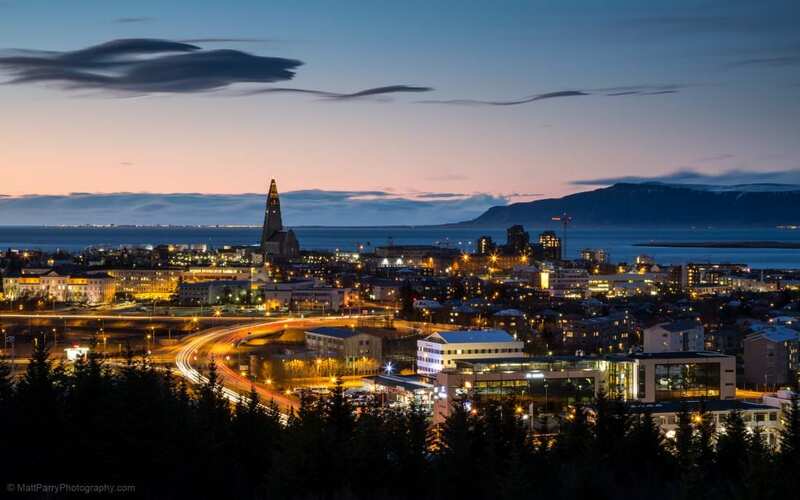 Add in the fact it is extremely affordable, has a great culture and wonderful people – what more could you want? Well how about stunning glaciers, erupting geysers, geothermal spas, incredible waterfalls, whales, puffins, cute horses, great hiking, lakes filled with icebergs, beautiful beaches, snow-capped mountains… Oh and have I not mentioned it is also one of the best places to witness incredible displays of Northern Lights (Aurora Borealis)? From somewhere previously not on my radar I have now been twice in as many years and I’ve met people who have had their 10th trip and are still planning more. Yes it is that good! Combine all the above together and it is easy to understand why it has become a landscape photographer’s paradise. I would even be as bold as to attribute its rise in popularity to the multitude of wonderful images taken and shared of this incredible country over recent years – it’s how it first found its way onto my bucket list! So to anyone who has not considered Iceland before hopefully my images below will serve to inspire you to visit and see for yourself what it is that keeps us all coming back! 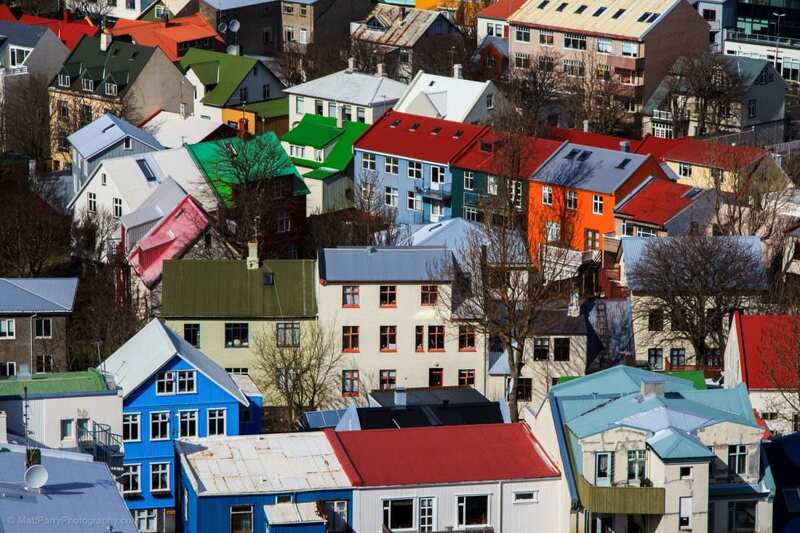 Iceland’s capital city is a great place to spend a few days. It’s not as awesome inspiring as the country’s natural beauty, but an interesting city nonetheless. The main part of the city is relatively compact but contains some great places to eat and drink as well as a few impressive sights of its own. 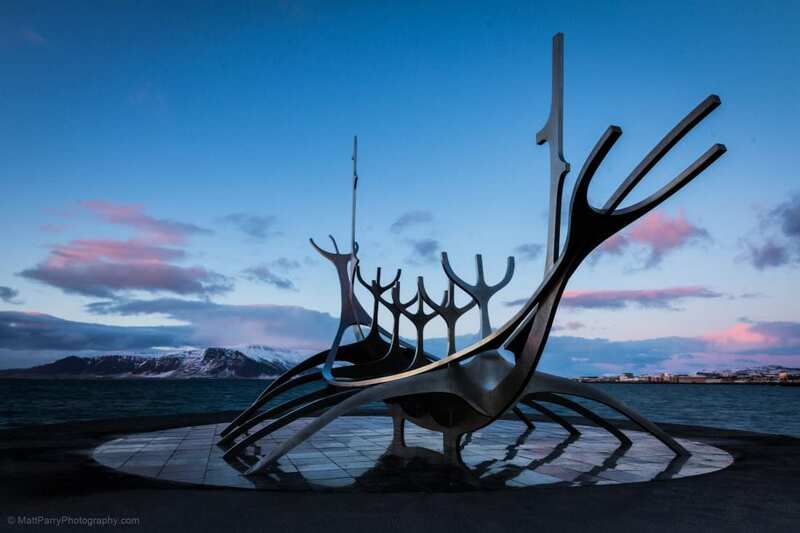 This includes the Solfar (Sun Voyager) statue on the waterfront, Harpa Concert Hall a short walk away and the 73 meter tall Hallgrímskirkja church which dominates the skyline. I found Reykjavik to be a great city to wander and discover quirky street art, among other things. I’m pretty sure you will as well! 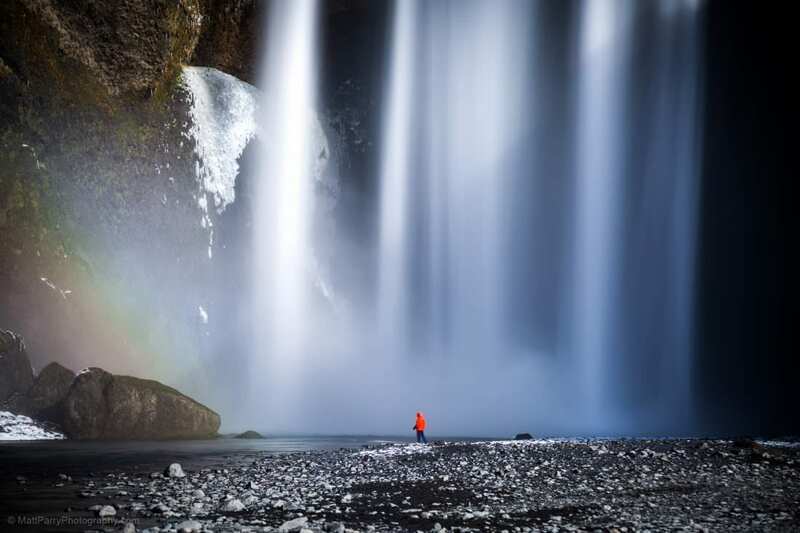 The hugely impressive 60 meter high Skógafoss waterfall is one of the biggest waterfalls in the country. 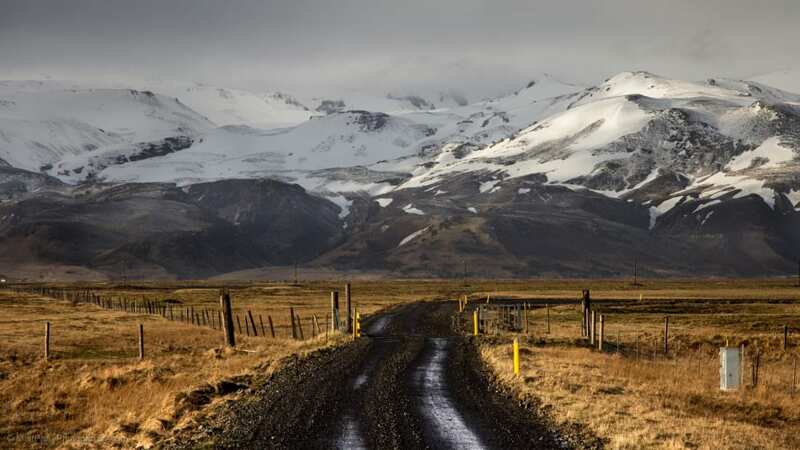 Sitting just off the main ring road ‘Route 1’ in the South of the island it is an easy place to visit on the popular tourist route to Jökulsárlón. The main downside to such a beautiful sight is the number of tourists who quite literally stop by the coach load. It is rare to find yourself alone but regardless it is easy to lose a couple of hours here. 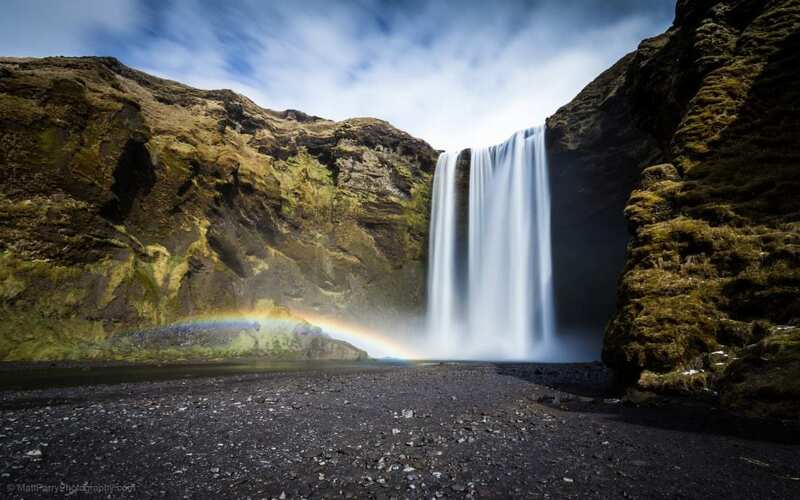 In addition, if the sun is shining on the falls, you’ll be treated to a beautiful rainbow in the spray. Perfect! 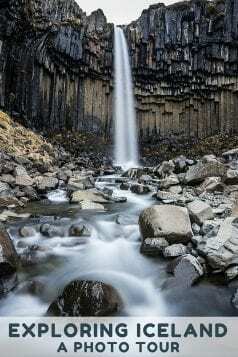 Another of my favourite waterfalls, Svartifoss, aka Black Falls, is a relatively easy hike from the car park at Skaftafell visitor centre in Vatnajökull National Park. 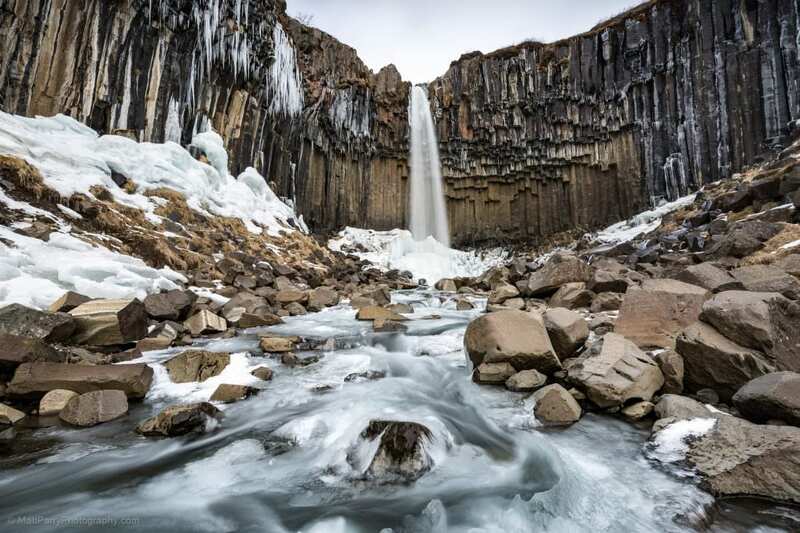 It is famous for its basalt columns and looks incredible, especially when they have ice stalactites hanging from them! 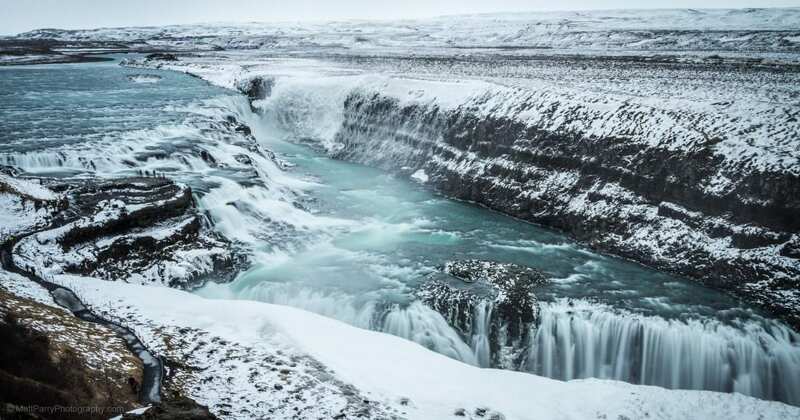 Combine the waterfall with a visit to the nearby Skaftafellsjökull glacier tongue (walking distance from Skaftafell car park) or the equally impressive Svínafellsjökull glacier tongue a short drive away. The tiny village of Vik (Vík í Mýrdal) is the southernmost village in Iceland and conveniently sits just off the main ring road (Route 1). 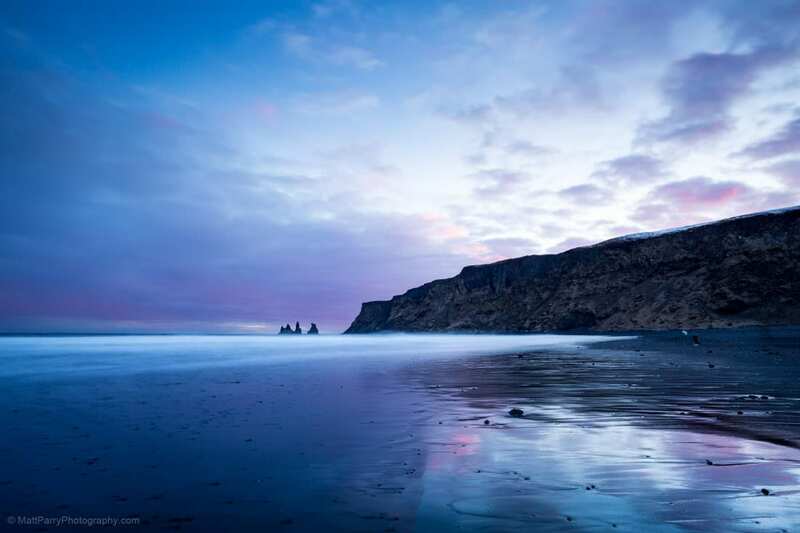 Despite its small size it is well worth staying here for a day or two to explore the nearby attractions which, in addition to its own beautiful black sand beach and iconic church, include the Reynisdrangar sea stacks, Reynisfjara beach and the promontory of Dyrhólaey. The stunning natural phenomenon of Aurora Borealis needs no introduction. This was a relatively calm display captured by the impressive mountain of Lómagnúpur. 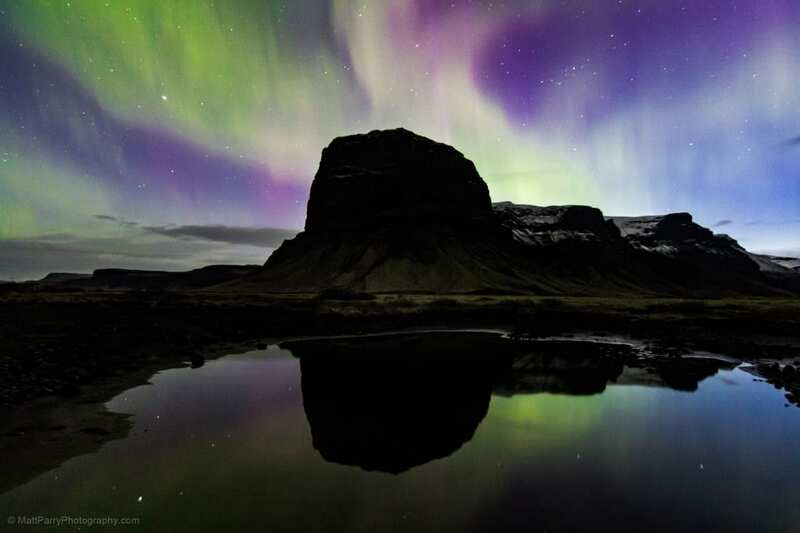 Northern lights sightings in Iceland are by no means guaranteed. The displays are dependent on a variety of factors, such as the Aurora being strong enough, being away from strong light pollution, and the sky being clear. The Northern Lights season typically runs from October to March although I was lucky enough to see this display in Mid-April. Another of Iceland’s ‘must do’ tourist attractions. 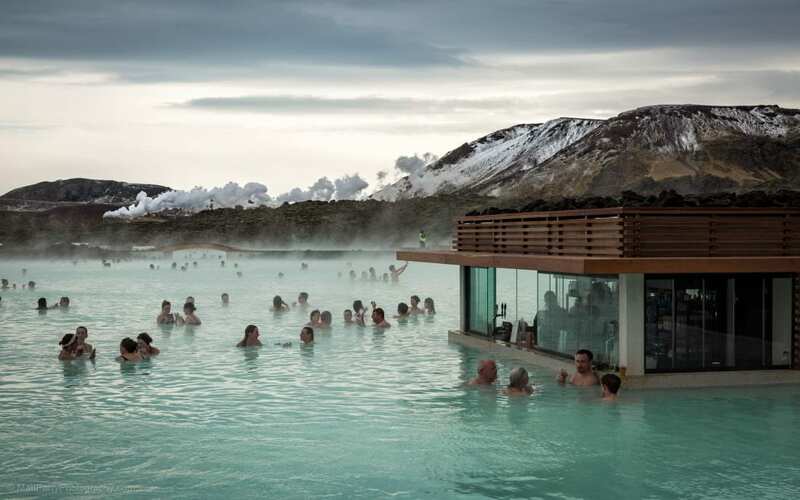 Conveniently located in Grindavík on the Reykjanes Peninsula (near Keflavik international airport), a visit to the Blue Lagoon (Bláa lónið) geothermal spa is a great way to start or end your trip. You won’t get to enjoy the beauty in solitude, but so what? This place is truly incredible! Icebergs break off the Breiðamerkurjökull glacier tongue (part of the huge Vatnajökull glacier) into Jökulsárlón lagoon. 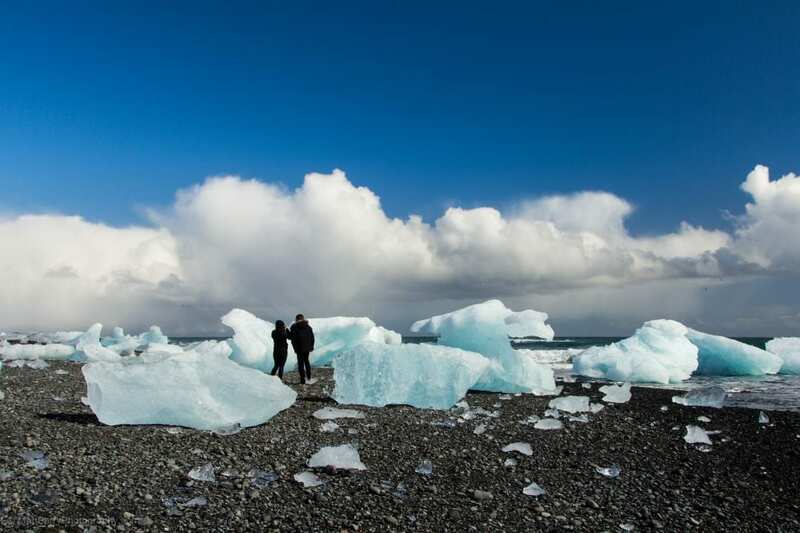 The icebergs flow from the lagoon into the sea where they wash back onto the shore. 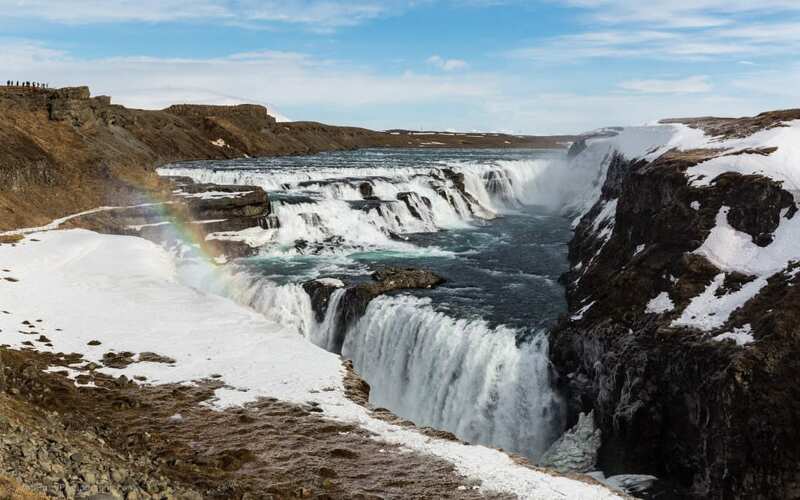 Gullfoss (Golden Waterfall) is part of the Golden Circle route which includes Þingvellir (Thingvellir) and the Geysir Hot Springs. 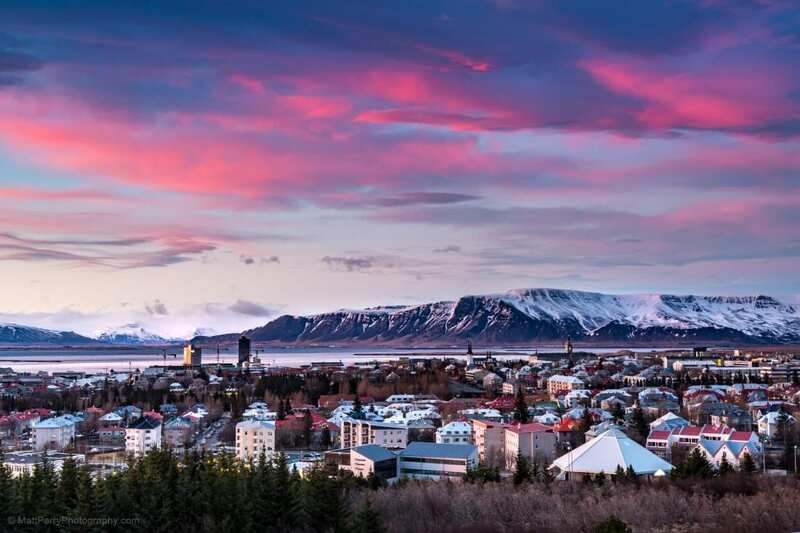 This is a very popular day trip from Reykjavik and one of the highlights of Iceland. The Hvítá (White) river is fed by Iceland´s second biggest glacier, the Langjökull and carries a tremendous amount of water over two big drops. A truly spectacular sight that inspires awe and tickles the imagination. Hope you guys enjoyed touring Iceland through Matt’s photos as much as we did. Make sure to check out his website for more fabulous photos from around the world! As always, safe travels and see you on the road! 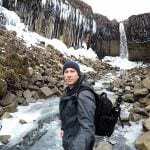 Matt Parry is an award winning travel photographer whose images have been published in leading travel and photography publications. 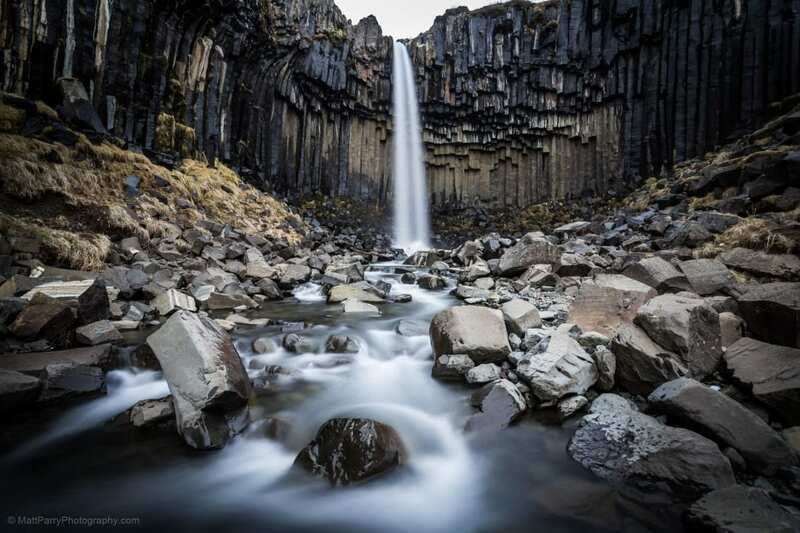 Having visited over 50 countries across six continents, his passion for photography evolved from a way to showcase his trips to become the driving force behind where and why he travels. You can see more of his images and follow his travels on his website or Facebook. 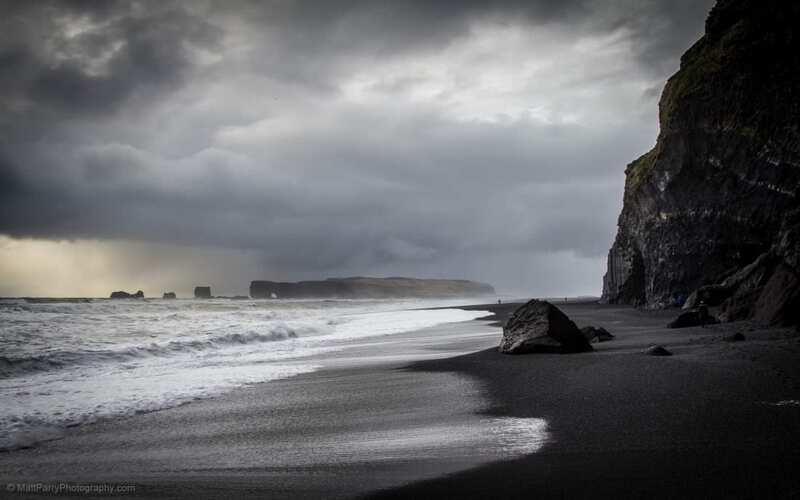 You can see more of Matt’s Iceland images here. 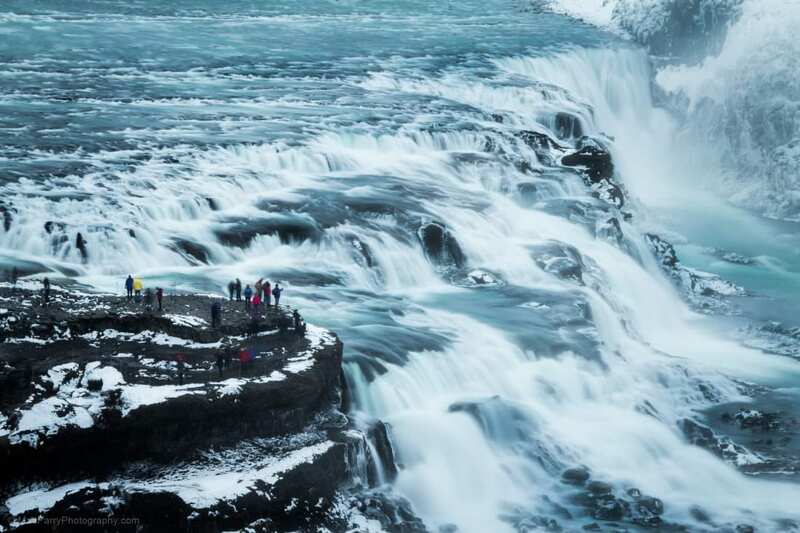 I love the idea of visiting Iceland but I must admit everything I have heard about cost has put me off… I might have to think again though after looking at these photos, they are beautiful!